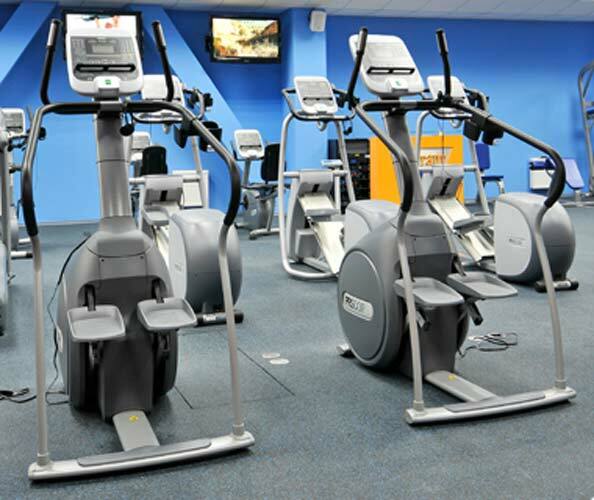 With low-maintenance design and extreme durability, the Precor CLM 835 climber uses the same low-friction, self-powered generator system as the Precor Elliptical Fitness Crosstrainers™. All this adds up to a smooth feel and quiet movement for users. 4-bar step linkage assures proper motion path and greatly increases life of the 1-inch / 2.54 cm Oilite bushings in each pivot point. U-shaped handrails encourage good posture and proper technique. Handrails are powder-coated steel tubing covered with sweat-resistant, molded vinyl. Grips are designed to stay securely in place to avoid slipping. Foot pedals are aluminum. Foot pedals attach midline to a 4-bar linkage, reducing bushing wear. Durable 6-phase generator system has no contacting parts, providing smooth, durable operation. 31 levels of climbing speed tailor workouts with consistent resistance. The 31 speed levels range from 30 to 180 steps-per-minute in 5 steps-per-minute increments. HTD-type toothed-drive belt requires less maintenance than a chain and lasts longer than a cable. Touch heart rate sensors located on U-shaped handlebars for user convenience. Equipped for heart rate telemetry using a chest strap.